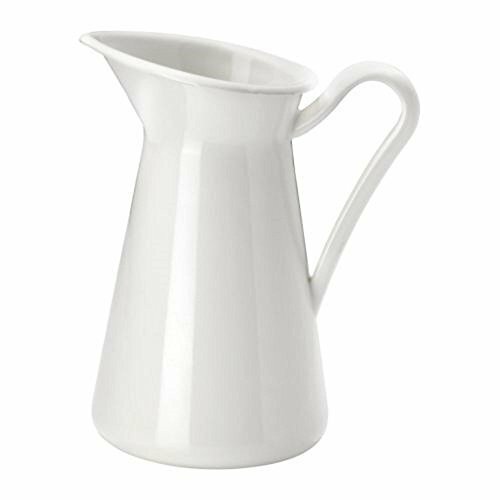 White farmhouse style pitcher or vase. Made of galvanized steel and enamel, this elegant pitcher adds beauty and charm to home or garden. Tested and approved for food contact.